Looks like even the pope has caught World Cup fever. 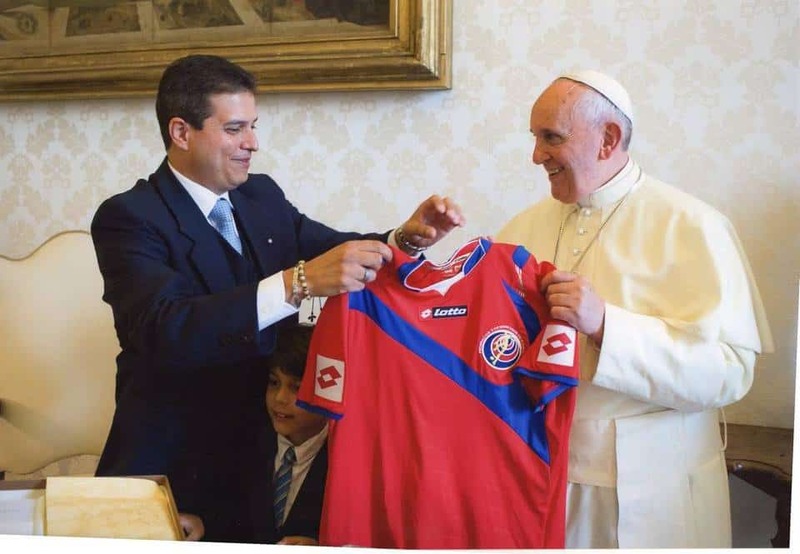 Before leaving his post, Costa Rica’s outgoing ambassador to the Vatican, Fernando Sánchez, decided to make an appeal to the divine for a Costa Rican victory in their quarterfinal game against the Netherlands on Saturday. 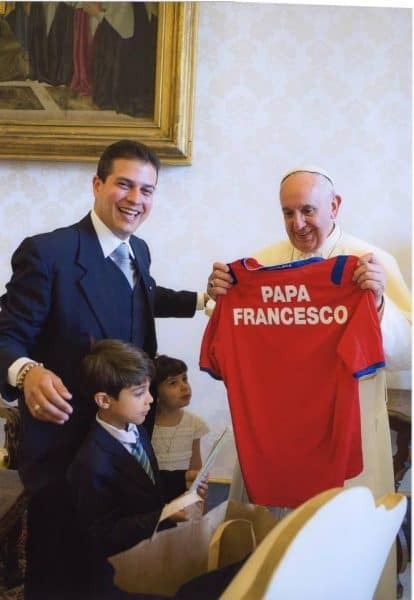 Sánchez said his goodbyes to Pope Francis this week, leaving a personalized “Papa Francesco” Costa Rica football jersey behind as a parting gift.